Buzzing Across America: More bees, please! 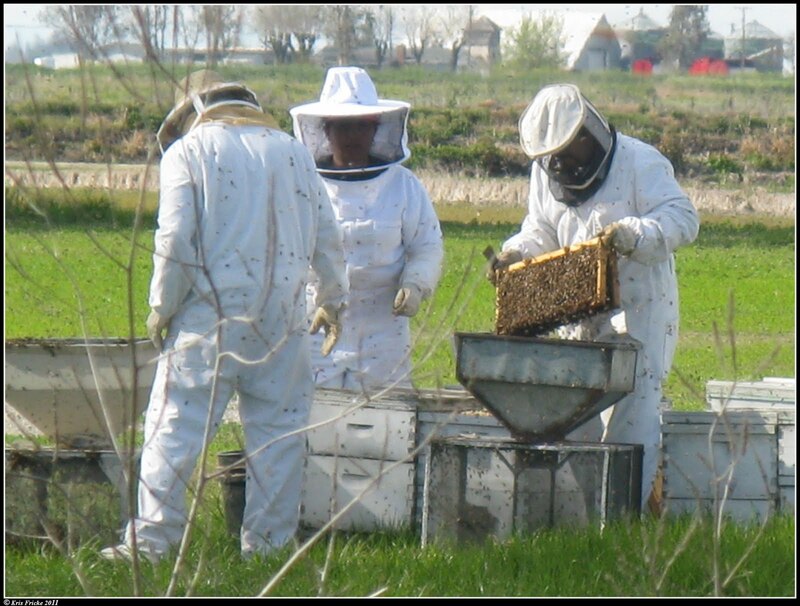 One common question that we get asked in schools is, “Where do you get your bees from?” With spring being just around the corner, beekeepers are starting to think about how many colonies or hives of bees they want this year. Beekeepers may want to get colonies for several reasons; he or she may be just starting this new hobby for the first time, getting more colonies to replace the ones that died over winter, or adding more hives to their operation. 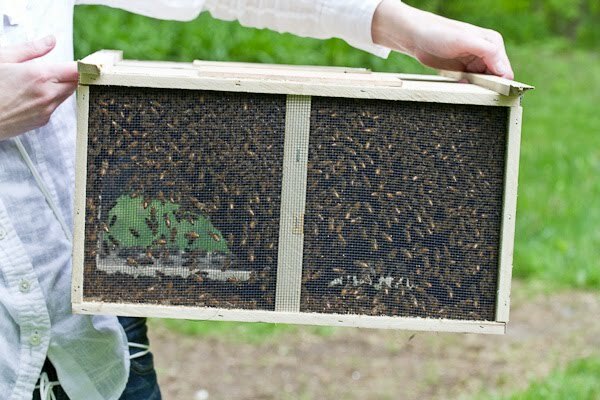 There are a few ways beekeepers can get more colonies of bees. 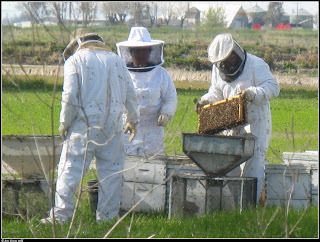 They can try to catch a swarm of bees that may have left a different beekeeper’s hive or is living in the wild (this can be very difficult), beekeepers can buy hives from other beekeepers, or they can order packages of bees. Today we are going to talk about packages of bees. that leads to the package. As you can see, it is similar to a wooden box with screened sides. The beekeeper will continue to shake bees into the package until it weighs 2 or 3 pounds. Each pound contains around 3500 bees. 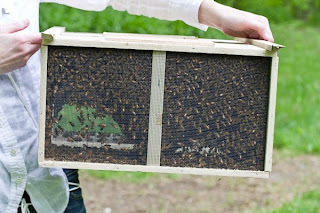 Once the package is the correct weight, a queen bee is put in the package, but she is kept in a separate cage that looks like this. She is kept in a cage so the other bees in the package get used to her and accept her as their new queen! The last thing that is added to the package is a can of sugar syrup. The bees have a long trip before they arrive at their new home, and they will eat the sugar syrup while traveling. Lastly, the bees are put on a semi-truck and are delivered to the beekeepers who ordered them. It’s just like when you receive a package in the mail, except the package buzzes a bit more!